Many mold makers and molders have had great success with one particular coating and have used it for all of their applications. Unfortunately, there is not a magical coating out there that works in every situation. Many times, excellent coatings are used in the wrong applications. Speaking from a player’s viewpoint, one of the major challenges is correcting problems caused by another plating company applying the wrong coating for a particular application. When plating is used properly, the positive results can be stunning. There are many causes of wear and corrosion in plastic molds that can contribute to greatly reducing mold life. Plating can solve many of these situations. However, these coatings also can improve the performance of molds in many other ways. 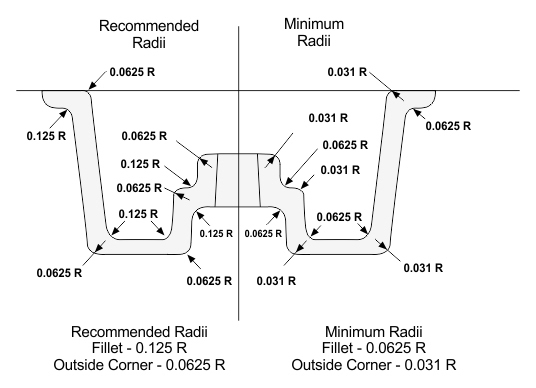 A basic knowledge of plating is necessary to make an educated choice for properly solving your particular problems. There are more than eight different plated coatings for molds. It is the intent of this article to help molders and mold makers take advantage of these benefits. 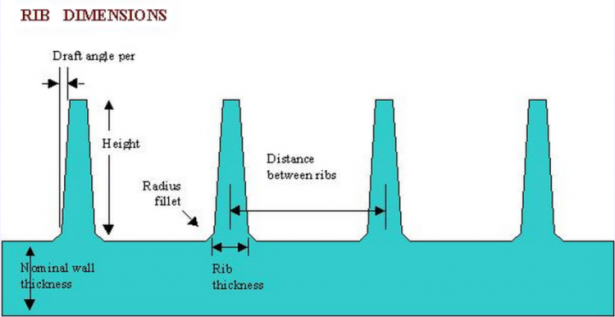 There are two basic types of plating – electrolytic and electroless. Electrolytic plating requires electricity to make the process occur. There is a positive and negative charge. The positive is called the anode and the negative is the cathode. The part to be plated gets the negative charge so it becomes the cathode. The anode is made of conductive metal – such as lead – and becomes the source of the positive charge. Hard chrome plating is one of the oldest electrolytic plating processes. The chromic acid solution is the medium by which the current transfers. When the plating process occurs, the negative and positive ions transfer in the solution causing a metal (chrome) to reduce the base metal of the part being plated. A good analogy would be to look at it as the reverse of EDM. Because the process uses electricity, the plater is constantly fighting against the laws of nature. The old rule still holds true: electricity travels in straight lines and goes to the closest point. On sharp corners, there will be a heavy buildup of plating. In the recesses, the plating will tend to be thinner. Electroless plating, such as electroless nickel, is just the opposite of electrolytic plating. Additives in the solution take the place of electricity. These additives are known as reducing agents. Since all metals have a charge, when the reducing agents detect the base metal charge in the plating bath, they start to react. This causes the metal in the bath solution – in this case, nickel – to reduce the base material of the part being plated. No electrical current is required. Wherever the plating solution touches the base material, the plating will adhere. This gives the plated part a very uniform deposit and the plating thickness can be controlled within .00005-.0001, even on complex shapes. Within these two families, you have several types of deposits. These different types include composite and alloy deposits. As a generality, if you need a perfectly uniform deposit in a complex shape, electroless nickel deposits are best. However, hard chromium is the hardest deposit and has an excellent release. When choosing to plate for your mold or mold components, you must first identify the problem to be solved or the problem to be prevented. The first question you should ask is “What is the cause of this problem? Is this problem the result of corrosion or wear?” If the component has previously been plated, this may be difficult to determine. Have your plating vendor look at the component to determine if it has been plated and if so, what type of plating was used. Abrasive wear can occur on compression molds that use mineral or glass-filled materials. These materials can cause a scouring action on the mold surface. 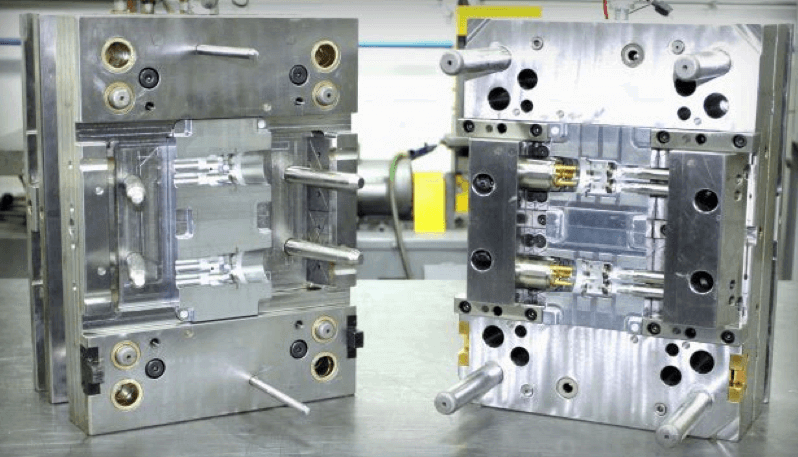 In transfer and injection molding of thermosetting materials, wear often is detected in the high flow areas such as in the sprues, runners, gates, and portions of the cavities and cores that are directly opposite the gates. In injection molds for thermoplastics, wear most commonly appears on the surface opposite the gate. Most damage results from continuing to run the mold after flashing occurs. However, there are other sources of damage of which to be wary. These sources can include water contacting unplated surfaces, causing corrosion; water condensing in the molds; seepage through porous metals; and leaky pipe fittings and “O” rings. Where chillers are used for mold temperature control, condensation of moisture on the mold surfaces can sometimes occur even while they are in full operation. Careless handling of hoses and feed lines during hookup can leave water on the mold surface. Corrosion is progressive and even if the molds are stored after being sprayed with an antioxidant, a few drops of water or condensation can cause tremendous and costly damage. Another source of damage attacks from acids. These acids may form after exposure to corrosive materials generated by thermoplastics decomposition (often due to overheating). Overheating can occur in the plasticizing cylinder, the hot runner system or in the mold cavities as the result of two small gates, or inadequate venting or cooling systems. During the molding of PVC, a small amount of hydrochloric acid is formed, which is extremely corrosive to the mold cavity. Electroless nickel, by its very nature, is an excellent corrosion barrier for most mineral acids, whereas these acids will attack chrome. Stainless steels also can be susceptible to attack by chlorine or fluorine containing plastic, leading to pitting or stress corrosion cracking. This can be eliminated with a high phosphorous electroless nickel deposit over the stainless steel. With so many different types of molding and even more types of materials available, there is no easy answer as to which coating will best enhance performance. An investigation into these coatings is worthwhile because if your molding operation is left unprotected, it can create corrosion, erosion, materials flow or release problem. The proper plating can make all the difference. Before you make that critical decision, call your plating vendor of choice and ask which coating will work best for your application. Over the past two to three years, substantial advancements have been made in injection molding CAEsoftware. 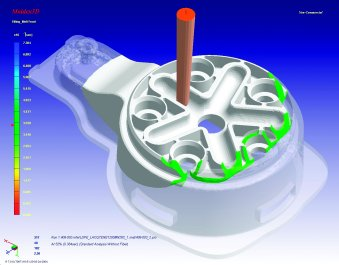 What started out as a tool to give designers a general idea of how a simple plastic part will fill, can now accurately analyze packing, cooling, warpage, fiber orientation in any complex part geometry and conditions in the mold. The goals of flow analysis can range from basic knit-line location prediction to measuring the exact displacement due to anisotropic conditions on a low-tolerance part. When performed early in the design process, users of the technology save thousands of dollars in startup costs, and thousands more by improving part quality, eliminating downtime and reducing cycle times and scrap rates. Flow simulation helps to perfect the part design by reducing or eliminating conditions that may lead to gas traps, burns, sink marks, voids or excessive warp. This is done by optimizing factors such as gate size and location, runner balancing in multicavity tools, mold design including inserts and cooling line circuitry, material selection and process conditions. 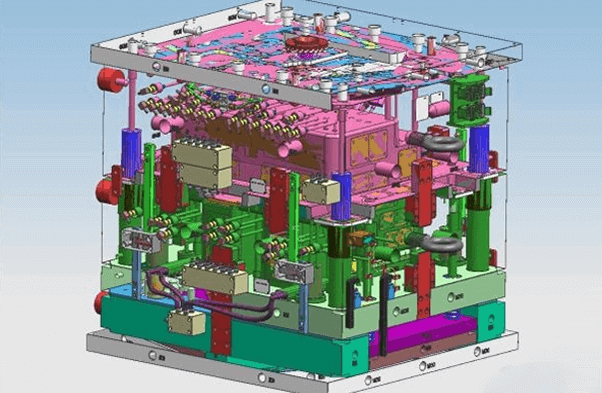 The technology identifies problems in the mold before they become problems in the part, and the mold designer and moldmaker are the first line of defense in eliminating these costly tool and part problems. Fiber orientation in the weld line of a pressure vessel. 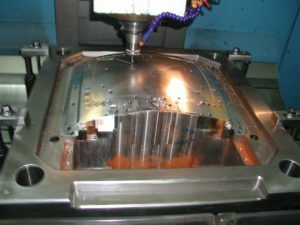 The simulation serves as the perfect medium for trial-and-error techniques that are very expensive and time-consuming to perform on the mold, and must be used early in the design process to gain the most ROI. The reputations of tool designers and builders depend on how well a tool performs when it is placed in the press for the first time, and profits are gained by not having to go back and recut the tool multiple times. The competition in today’s market requires vendors to reduce costs while improving quality. Flow analysis allows moldmakers to reduce the mold building cost by 10 to 30 percent, shave weeks off the delivery time and reduce piece-part cost; this is all while improving the quality of the end product for their customer. This competitive edge represents the difference between profit and loss since the days of building in the extra startup costs of time and tool recutting are over. Modern plastic products have extreme performance standards with very strict tolerances, often involving hybrid blends of materials with many additives and stabilizers that make it impossible to know exactly what the final molded part will look like. Without understanding the characteristics of these new materials upfront, the design criteria may be outside the physical scope of cut and try tooling, which in some cases requires a complete rebuild. The most significant breakthrough in flow simulation technology was the advent of true 3-D solid element analysis in 1999. Prior to this, the only way to perform a plastics flow analysis was using midplane technology based on the Hele-Shaw approximation. In a midplane analysis, often referred to as 2.5-D, the part model is represented by a shell of 2-D triangular mesh elements, which are then assigned an appropriate thickness. Similarly, runner systems and cooling lines are modeled with 1-D beam elements. Since each element represents conditions through its entire thickness, many assumptions are made within the predictive software code, which may or may not skew the final results. Extracting a midplane mesh is a time-consuming, arduous and ambiguous process that can take several days, in some cases accounting for up to 80 percent of the man-hours that go into a given flow analysis project. While this approach works well for simple part geometries with uniformly thin walls, it does not capture the true phenomena occurring in the runner system and mold base. 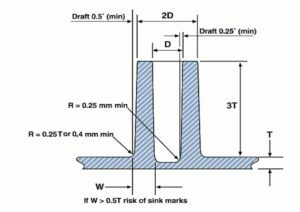 Significant accuracy can be lost on parts with a moderate to high level of detail, variable wall thickness and/or thick and bulky areas. Clipped view of temperature distribution throughout the mold. Bulky parts with varying wall thickness cannot be accurately represented with midplane technology and require a more advanced solution. In a true 3-D simulation, solid mesh elements, predominantly tetrahedral, fill the entire volume of the part geometry, without the modifications and assumptions associated with a midplane. This results in a much better representation of the original part file, and therefore much more accurate simulation results. The 3-D meshing process is highly automated allowing users to create a solid element model in a fraction of the time spent generating a midplane. However, 3-D models have far more elements than midplane models and require longer solve-times and more computer hardware. This is a small price to pay, considering that 3-D analyses can run on an unmanned PC overnight and offer significantly better results. Users can observe the true volumetric fountain effect of the melt front, including jetting and gravitational effects. With several element layers per thickness, gradients of results such as temperature, pressure, volumetric shrinkage and fiber orientation can be seen across all the thicknesses. When modeling the true mold base geometry with solid elements, moldmakers can incorporate multiple insert materials, such as beryllium copper, into the analyses. By reviewing outputs such as temperature distribution, cycle-average heat flux and part warpage, users can evaluate the effectiveness of these inserts prior to building the tool. In addition to identifying and eliminating potential problems, flow analysis helps to optimize overall part and mold design while preventing overengineering. This occurs when too much effort is put into part/mold design. The design often ends up being more complicated, using more plastic than necessary. 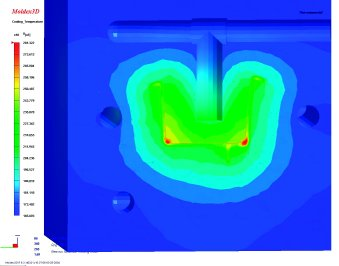 Flow analysis can prevent unnecessary overengineering by proving that a simpler part/mold design is sufficient. Today’s technology allows the moldmaker to evaluate different water layout designs to reduce flow rates and optimize temperature distribution throughout the part and mold, ultimately minimizing differential shrinkage, warpage and cycle time. 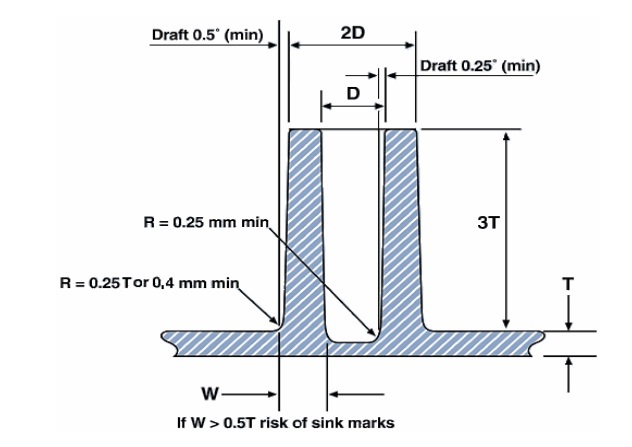 Different water layout designs refer to the cooling line circuitry in a mold. Without running a cooling analysis first, moldmakers often have to redesign and modify the cooling lines after they prove to be ineffective in the machine. What effects will changing the tool steel have on the part? Does it need a hot runner system or will a three-plate mold be sufficient? By running a flow analysis upfront, these types of questions can be answered, saving thousands of dollars in unnecessary tooling costs.